Brimful Curiosities: Wordless Wednesday - How Now Brown Cow? 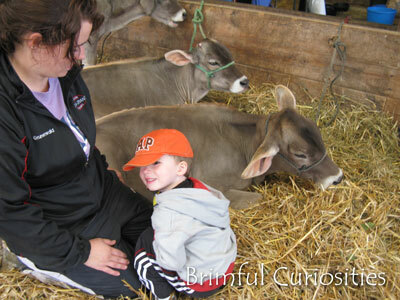 At the fair petting a brown swiss calf. Very nice photo capture! Those are beautiful calves! sweet.. I hope your son has a great day at school.. Have a great evening..